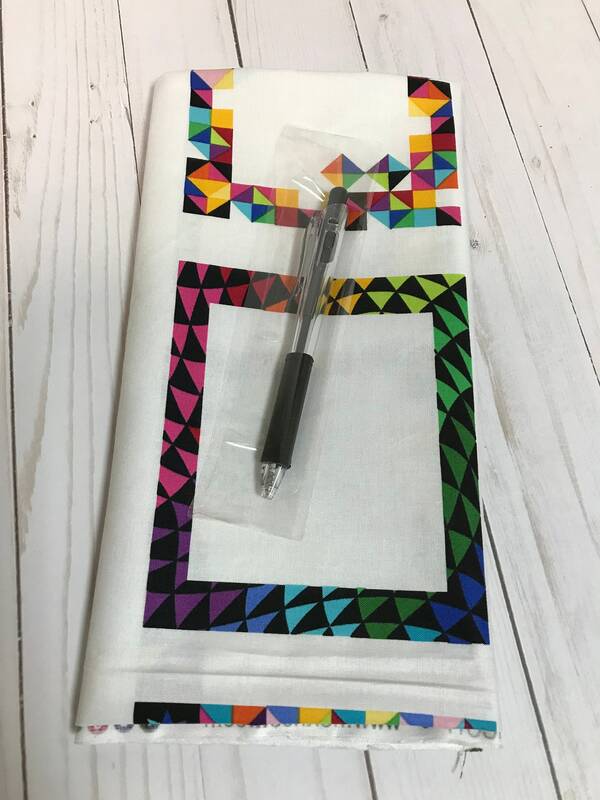 Make it special by writing your own personal quilt and project labels using any kind of gel pen (black ink pen included) !! These bright and colorful framed labels allows you to fully personalize your hand made items. Just imagine the joy of receiving or giving a gift with someones personal penmanship. These labels ensure your "made with love" piece will truly be a gift that will become an heirloom treasure. Whom ever receives them will know how much love you have put into their special project. 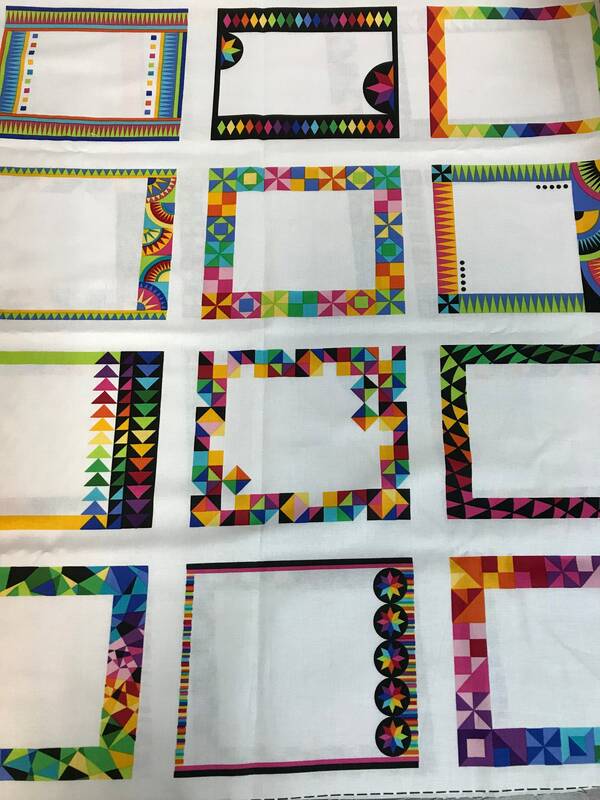 You can even use them to document quilts or other projects with those involved in the making, location, dates and any additional information you desire. 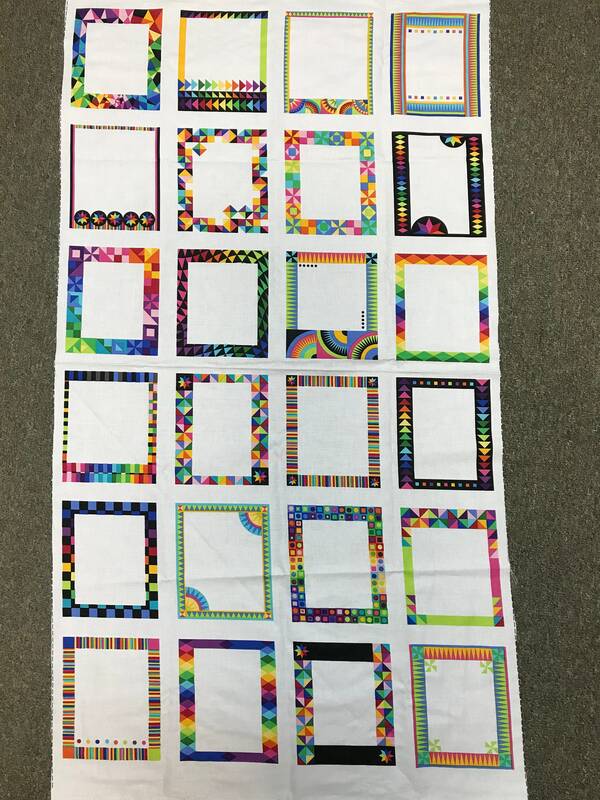 One panel contains 24 frames / labels. Individual Label Size: 5" x 6"
100% cotton, quilter grade fabric. Machine wash cold water, mild detergent, delicate cycle. Do not bleach. Tumble dry low. Pre-washing is recommended.